The first official photo of Tom Hardy in Venom has been released. While the actual ins and outs of the film remain largely hush-hush, this screengrab is likely to keep fans of the villain hooked until the film’s October release date. Brooding. And what is that notebook all about? Does Venom become Venom after the New Yorker turns down his crap poetry? Is it a shopping list? Is he simply describing how non-Kindle owners read books while eating food? God, there’s so many questions and so few answers. 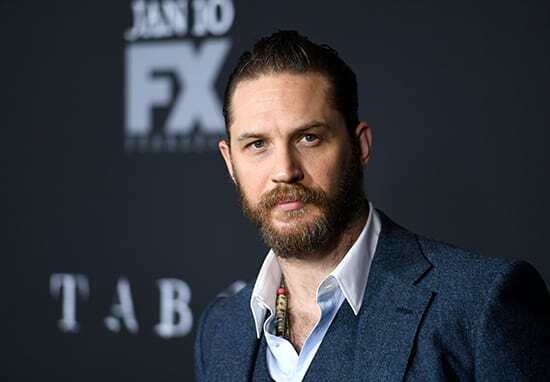 The current incarnation of Peter Parker, Tom Holland, commented positively on the decision to cast Hardy, whose last superhero appearance came as Bane in The Dark Knight Rises. It’s very exciting. I think Tom Hardy will really play that character with, you know, a lot of energy, a lot of life. It can be a very cool movie. It’s not something I know about or involved in. As of now, I’m just focusing on Spider-Man 1 and a little bit of Avengers — but I don’t know anything about that movie. Venom is due to be released on October 5.